Electric blue… like water like raybans. 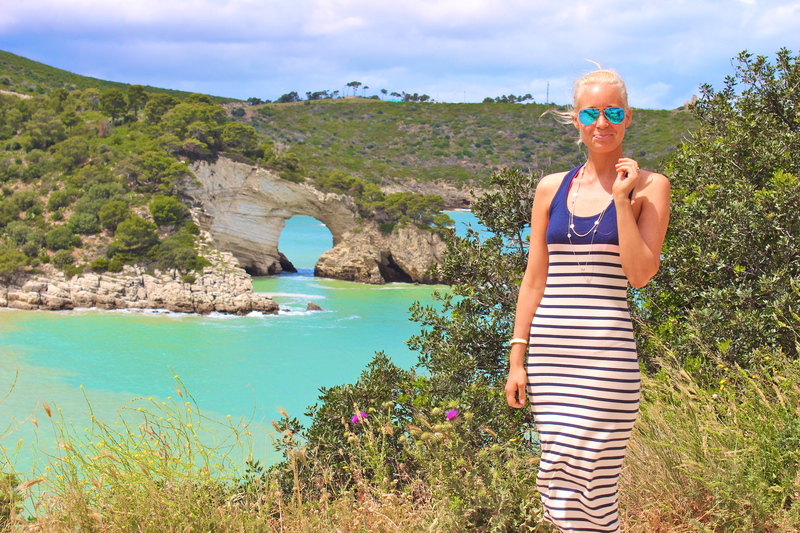 For a scenic coastal drive, I decided to wear a cotton nautical style maxi dress from French Connection. It is so very soft and perfect for sitting comfortably in the car. It forms a beautiful feminine silhouette that has a racer back and a nice combo of deep blue and off-white. 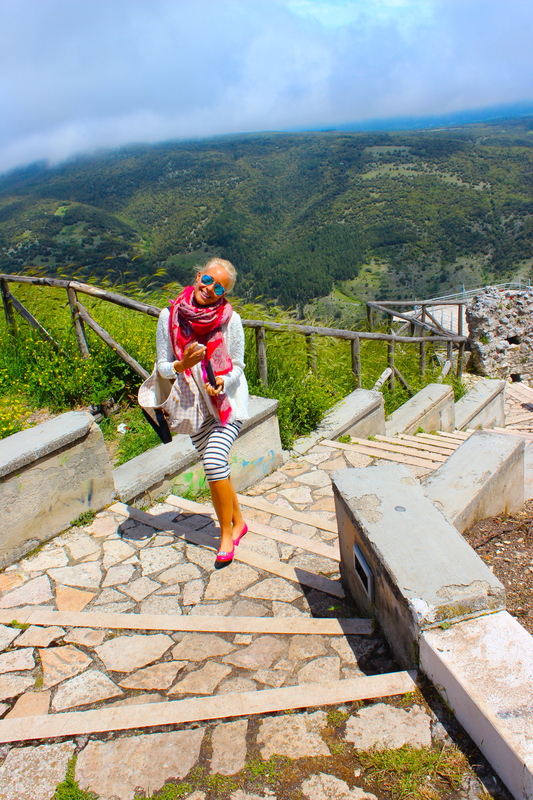 During our stay in Vieste, we drove to a small nearby mountain village called Mont sant´ angelo that is located on the southern slopes of Monte Gargano. 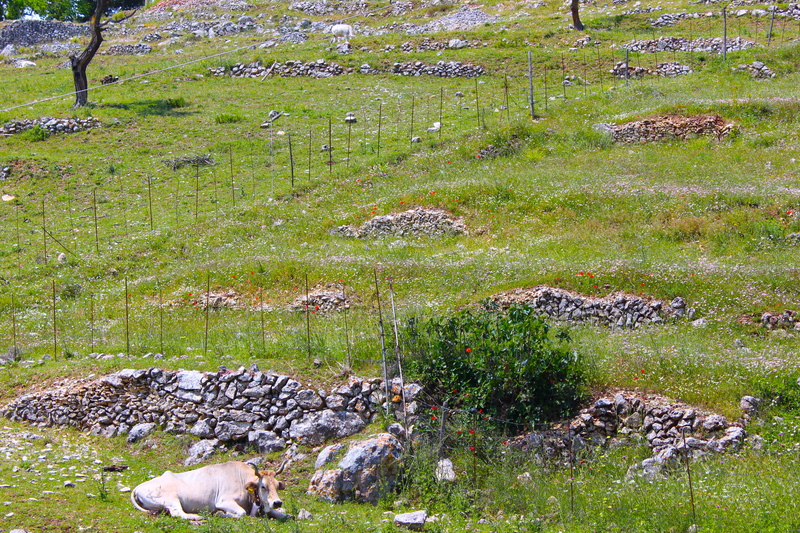 On top of this steep hill there are tight rows of houses and resting cows and sheep on the green blooming meadows. The village has is a sanctuary built in the 13th century and the views overlook green valleys and the electric blue sea. It was a cute spot to stop for an espresso or tea. We found a modern Scandinavian style cafe that had kartell’s ghost chairs and wooden surfaces… very unexpected for an old history village. 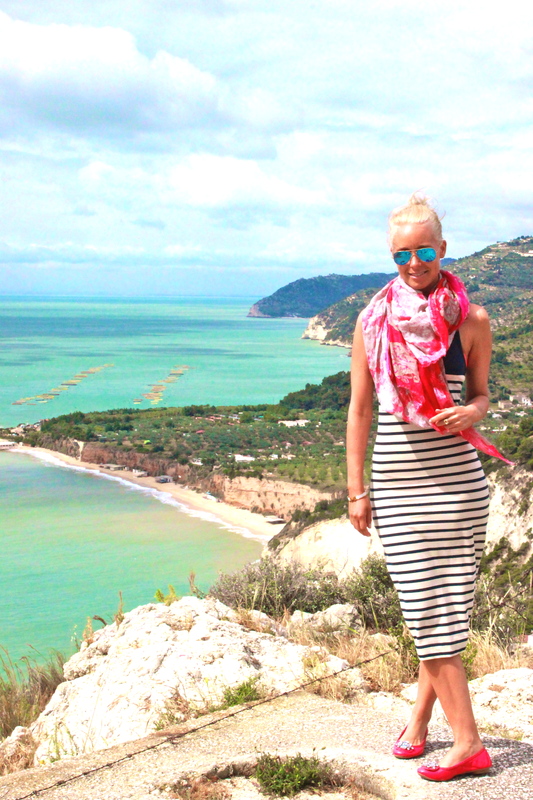 The coast drive to the mountain village had beautiful views with natural grottoes and arches in the light waters that are major tourist attractions in the Foggia region.